Watt Stopper/Legrand has launched a versatile 0-10 volt wall box controller that can be used to dim or switch lighting loads or raise and lower shades. The DRLV1 controller is the first such device to include an input allowing automatic control by an occupancy sensor when used for lighting control. The device is RF-enabled and is also the first 0-10 volt wall box controller that can be incorporated into a wireless scene control system. 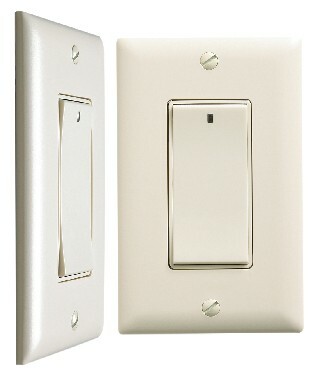 The DRLV1 is part of Watt Stopper’s line of Miro® Controls, which includes wireless RF dimmers and scene controls. Wireless Miro reduces the cost and complexity of new and retrofit projects by eliminating control wiring and the need for a central processor. Miro is ideal for applications including offices, meeting rooms, lobbies, restaurants, galleries, hotels, retail stores and houses of worship. The DRLV1 is primarily used to dim compatible 0-10 volt fluorescent dimming ballasts, and can provide 1% dimming when used with T5 HO lamps, a commonly specified source for indirect lighting. It may also be used to control selected LED lighting. The device, which works in conjunction with a Watt Stopper power pack, can control up to 100 ballasts, a greater capacity than most controllers. Additionally, the power pack may be used to power an occupancy sensor which, when connected to the controller adds code-compliant automatic shut off. Other RF-enabled Miro devices may be used to remotely control the DRLV1 for wireless multi-location control and/or scene control. The new controller also expands the capability of Watt Stopper’s Miro Controls beyond just lighting control. Increasingly, designers are integrating window shades or projection screens with lighting controls. In shade control mode, the controllers raise and lower compatible line voltage shade motors. Shades or screens wired to the DRLV1 may be included in lighting scenes with other RF-enabled Miro devices.